Ok so I don’t scream for ice cream any more but when I was a little girl I would have screamed for Mint Chocolate Chip ice cream! Now I just whine a little until my husband makes a run for 31 flavors. 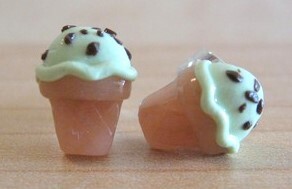 Or I pop on over to Etsy and find something like these little earring tasties. These along with the tiny cupcakes are my daughters favorite Etsy treasures. 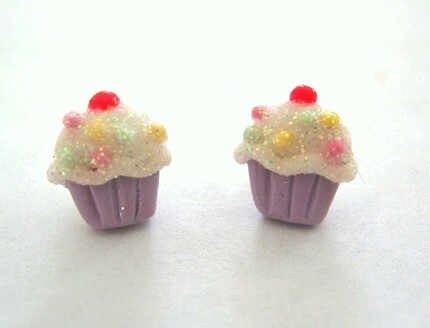 Sky Blue Bunny has my vote for the sweetest Etsy earlobe treats.